This is a rare offering of a ranch that has been in the same family for over 100 years. It is arguably one of the cheapest and most efficient operating ranches in the northern Rockies. It also offers tremendous diversity and flexibility. 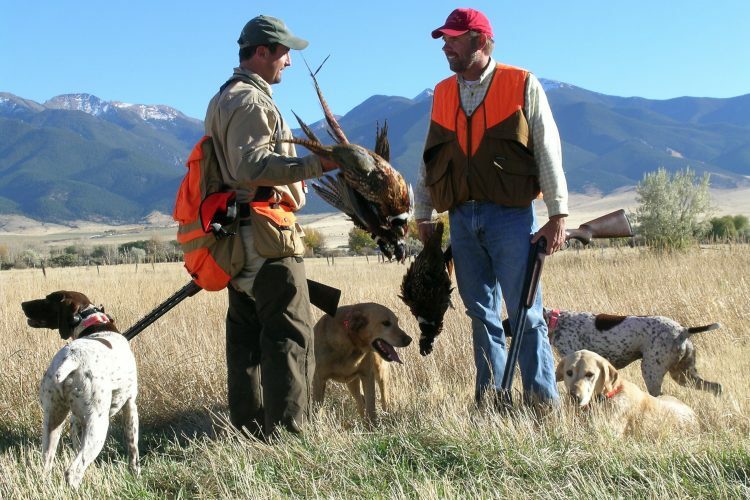 At the same time, it boasts some of the finest big game hunting and trout fishing in Wyoming. Additionally, it controls critical water resources in an area that is not long on water. 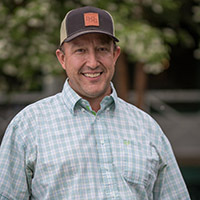 The Big Sandy River Ranch is a vast, productive, beautiful and historic livestock operation with an estimated carrying capacity of 3,500 animal units including sheep, cattle and horses. Operating since 1905 on the site of the Oregon Trail, it spans 150± miles in southwest Wyoming from the Wind River Mountains down through the Big Sandy River Basin, across the sage flats to the edge of the Flaming Gorge and on through the Red Desert winter range. The backbone of this ranch is that it provides year-round grazing for both cattle and sheep - from summers in the National Forest, deeded lands and Bureau of Land Management (BLM) allotments, to winters in the desert on one of the largest private grazing associations in the U.S. Additionally, the ranch possesses exceptional water, gravel and wildlife assets. The higher elevation deeded lands are especially rich in the quality and quantity of its water resources sourced in its rivers, creeks, springs and flowing wells. These also provide high-quality fishing for trout. For the wildlife enthusiast and conservationist, these same lands are designated critical habitat for several of the ranch’s abundant wildlife resources -- mule deer, sage-grouse, elk, moose and antelope. The improvements are modest and adequate for the current operation. 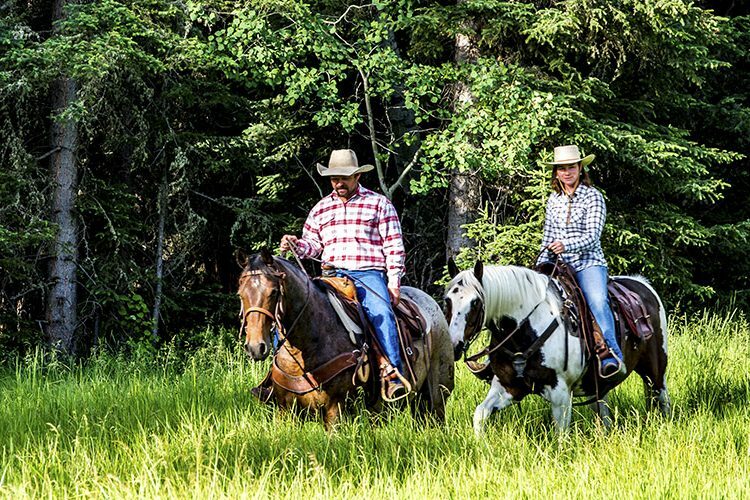 The Big Sandy River Ranch combines a highly efficient, diversified and profitable livestock operation with a package of the highest quality water assets, critical wildlife habitat and recreational amenities that is almost impossible to duplicate on one ranch. The headquarters complex is located a short drive off Big Sandy Elkhorn Road in a private setting along Long Draw on Arambels’ slough. Surrounding the headquarters and the irrigated hay fields and pastures are open plains of rangeland typical of southwest Wyoming. This part of the ranch is a combination of deeded land, Forest Service allotments and large BLM allotments. It is near the Wind River Mountains and provides a reliable drought-proof supply of strong summer grass. The numerous live water tributaries sustain the ranch’s water rights for irrigation and livestock needs. The river drainage and tributaries are scenic, with willow- and aspen-filled bottoms and scattered large spruce trees towering over the normally gin-clear waters. The vast ecological diversity of the ranch makes it unique. Excellent rangeland health is well documented by years of scientific monitoring. The ranch is critical to many of the wildlife species. It is in the heart of the highly publicized mule deer migration and winter habitat and is key habitat for elk, antelope, sage-grouse and a variety of high desert and plains wildlife. The ranch is clearly the destination of choice for all species in the ecosystem. The Big Sandy and Little Sandy Rivers flow into two irrigation reservoirs in the Farson area. Both reservoirs are on the ranch which owns the deeded land adjoining both reservoirs. From these higher elevation summering areas, the ranch’s permits and its interest in the Rock Springs Grazing Association (RSGA) carry it south in a contiguous block to the Wyoming Colorado border. Much of this country is suitable for grazing throughout the winter months and its broken terrain offers protection from the elements. In earlier times both cattle and sheep were trailed on contiguous permits to RSGA for the winter. Currently, the cattle are trucked but the sheep are still trailed. The northern reaches of the operation, where the headquarters and most of the deeded lands are located, lie between the Big Sandy and Little Sandy Rivers 25 miles north of Farson, 40 miles south of Pinedale and 70 miles north of Rock Springs. The 7,000-foot long airport at Pinedale has full FBO services and instrument approaches. Rock Springs is served by United Express through Denver. The ranch is a contiguous combination of deeded and leased lands reaching from Sublette County, south into Sweetwater County and ultimately to the Colorado border. The headquarters are accessed from Big Sandy Elkhorn Road, a well-maintained county gravel road. To the northeast of the headquarters, the most mountainous portions of the ranch are accessed from the Lander Cutoff. Other ranch holdings and many of the grazing allotments are accessed from U.S. Highway 191, which runs north and south from Pinedale to Rock Springs. Southern areas of the ranch are accessed by Wyoming Highway 430, running south out of Rock Springs. Spectacular mountains dominate the region, with elevations of the ranch ranging from 6,300 feet at the winter headquarters to 8,500 feet in the summer range. The Wind River Mountain Range and the Bridger National Forest lie five miles north of the property. The view is dominated by Temple Peak, the second highest peak in Wyoming at 12,977 feet, which can be accessed from Big Sandy Openings Trailhead by an easy three-mile hike. The ranch gradually slopes down toward Farson and Rock Springs. The Big Sandy and Little Sandy Rivers flow south out of the mountains on the northern reaches of the ranch, and the quality of their trout fishing is one of the area’s best-kept secrets. The upper Big Sandy River property is presently leased for guided fly fishing. This area has been managed as a fishery for more than a decade. Rock Springs sprang from coal mines, established in 1868 to power the steam engines of the Union Pacific Railroad. The booming railroad and mining industries left behind a culturally diverse community that is represented by dozens of ethnic heritages. Today, Rock Springs thrives with trona mines -- which supply the industrial glass and baking soda industries -- and a booming oil and gas industry, making it a regional hub for dining, shopping and other attractions. Northwest of the ranch is Pinedale, a mountain town that is a regional destination for outdoor recreation – including mountain biking, fishing, backpacking and wildlife viewing. 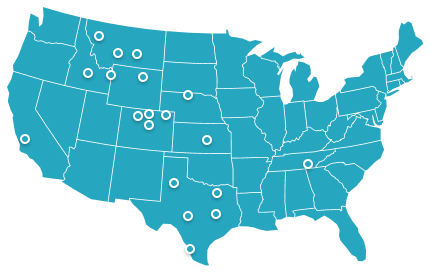 There is a regional airport that can be accessed by corporate aircraft. The town features new recreational facilities, schools and a new highway to its family-oriented ski area. Pinedale and the surrounding region are best known for their trophy hunting and reliable snowpack for winter recreation including snowmobiling. The ranch headquarters is at 7,160 feet in elevation. In general, the closer to the Wind River Mountains, the more precipitation the ranch receives. As a result, the headquarters -- which contains the majority of the irrigated hay base -- receives more rain and heavier snows than does the southern reaches of the ranch- on the RSGA for example. Average July temperatures in Rock Springs range from 54 to 84, while January averages range from 13 to 30. Annual precipitation ranges from approximately 12 inches on the north end of the ranch to an average of 9 inches on the southern end. Average annual snowfall is approximately 50 inches. With the exception of range corrals, the majority of the structural improvements on the ranch are located at the ranch headquarters. There are two 160 ton granaries with legs located on a Union Pacific Lease in Rock Springs. These are utilized to store shell corn to supplement the sheep on winter range. In general, because of the fact that the livestock – particularly the sheep – are moving all the time, there is no practical use for a lot of permanent improvements. There are however two remote cabins – Summer Cabin and Grass Creek Cabin used as cow camps. Water resources are abundant on the ranch. The headquarters is located between two river drainages that supply much of the water to this area of Wyoming. In addition, there are springs, small tributaries and quality wells dispersed throughout the ranch. Twelve of the ranch’s wells were drilled into a formation that produces “artesian flows”. Some of these wells flow hundreds of gallons per minute. This is a significant resource for the ranch because they have been able to sell water to the oil and gas industry. The ranch has historically irrigated approximately 1,600 acres and is currently putting up hay on approximately 435 acres of native grass meadows. The additional irrigated ground is used for pasture. All the irrigation water rights are territorial rights and the ranch owns all headgates. There are no ditch companies or shared water assessments. * Complete list of water rights available in the downloadable brochure. 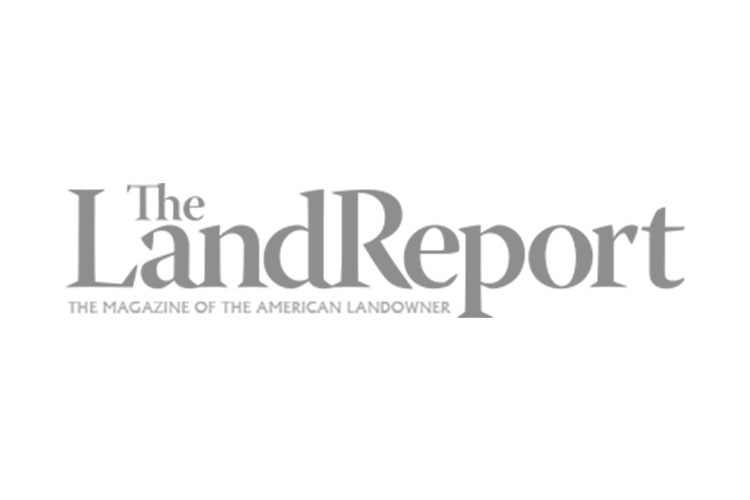 The seller does not own the mineral rights under the ranch; therefore, no mineral rights are being offered for sale as a part of this ranch listing. However, the ranchlands were patented prior to 1920, and as such the gravel on the ranch is not a mineral but a surface right. The Sellers own a 46M yard gravel deposit on 560± acres that is offered separately. Please contact us for further information regarding this offering. Taxes are $6,135, based upon previous years. The ranch contains a large population of mule deer on and near the ranch. It produces some of the largest trophy deer in existence. In fact, the ranch’s lands lie in the path of the world’s longest deer migration corridor and is a part of the Wyoming Game and Fish Department’s Sublette Mule Deer Migration Corridor Assessment. The ranch is also key habitat for elk, antelope, sage-grouse and a variety of high desert and plains wildlife. The ranch is part of designated critical habitat for sage grouse, moose and antelope as well as mule deer. The ranch currently receives two landowner tags for each of the three species of big game – antelope, deer and elk. The trout fishing in the Big Sandy and Little Sandy Rivers is second to none for large brown and rainbow trout. The fishing is so good that it is sought after by local outfitters and is currently leased to an Orvis endorsed outfitter. The operation is rated as a 3,500 Animal Unit (AU) ranch for sheep and/or cattle. The sellers have historically run both, and an optimum stabilized operation at the present time would be 1,200 mother cows, 800 yearlings and 8,000 ewes. In their early history the ranch ran only sheep and it is only in recent years that they have diversified into cattle. Essentially, they have been opportunistic in changing the mix to respond to market conditions. Much of their country is likely better suited to sheep but they have been very successful in wintering cows on RSGA in areas that had traditionally been sheep range. The viability of the livestock operation is evident from the fact that the ranch is in its fourth generation of Arambel ownership. There are 1,600± acres of irrigated land with early water rights. Since there is very little need for hay, the ranch puts up hay on about 435± acres and utilizes the rest as irrigated pasture. On the cattle side, they have maintained a Hereford herd but have used black bulls. The normal practice is to carry all the calves over to yearlings. As a result, they have developed an excellent reputation for their black-baldie heifers which sell at a premium. 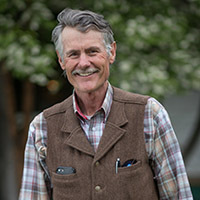 Normally the cattle are summered on the USFS permits and the upper BLM allotments with preference to running yearlings versus pairs on the USFS. The cows and bred heifers are trucked to RSGA or the Vermillion BLM permit on the Colorado border in the late fall after weaning. They winter out on open range with little or no supplement. The calves and bulls remain around headquarters. In March the steers are trucked to RSGA and the first calf heifers are brought back to headquarters for calving and extra care. In May the cows and steers are brought back to BLM permits in the Farson area where the calves are branded. Cows normally start calving on April 1st. They work their way north from there towards the headquarters and summer range. The sheep operation generally summers in the same BLM and USFS permits north of and around the headquarters. They continually work their way south and they also winter on the RSGA and Vermillion Permits. They are fed a shell corn supplement in the winter. This is stored in the facility in Rock Springs and is set up to be fed either from pack horses or vehicles. The sheep work their way north in the spring to the Farson area and arrive back in the headquarters area for shearing. These sheep have been a way of life for the Arambel family for over 100 years and they have developed a reputation for their replacement ewes which also sell for a significant premium and are sought after by big range operators in Wyoming and Utah. The sheepherders live with the sheep and are brought in on special government programs from Nepal. The ranch has also been successful in bringing in workers from Mexico to work with the cattle. These programs have not been curtailed in any way by the current administration. A number of the herders have in fact been able to stay on and have received their green cards. There is a good base of loyal and seasoned workers to carry on the sheep operation with a new owner. These sheep are well adapted and are left on their own. The sellers report that they have achieved a 135% lamb crop which is exceptional for this type of operation. The great advantage of a ranch like this is that it is an enormous grass factory which is being utilized year-round for grazing. It is extremely cheap feed so one has total flexibility on how to use it.